Obamacare open enrollment is drawing to close, though that doesn't mean the fervor over health care reform will subside anytime soon. 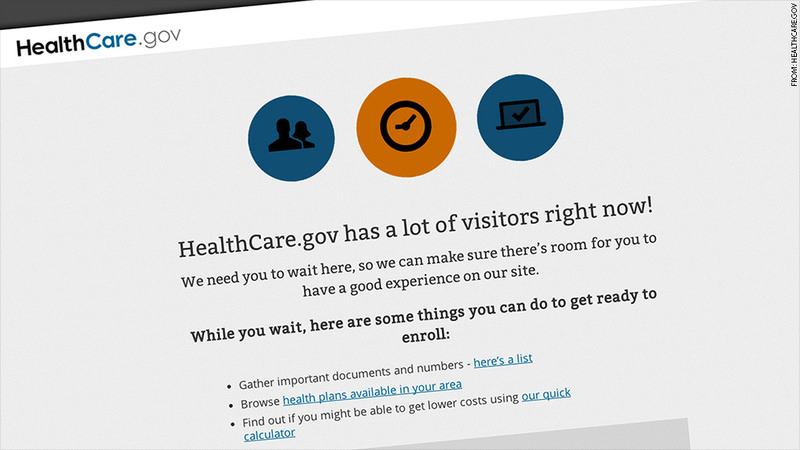 Americans have until the end of Monday to sign up for health insurance on the Obamacare exchanges for 2014. However, those that start their applications but run into technical trouble that prevents them from picking a plan Monday will have a grace period to complete the process. Their coverage will begin May 1. Applicants ran into problems midday Monday when a technical issue temporarily blocked new users from creating accounts and picking plans. More than 100,000 people were using healthcare.gov at the same time, said a spokeswoman for the Department of Health and Human Services. Those visiting the site were told to wait to apply for coverage. They were also given the option to receive an email telling them when they could return to the site. The federal exchange saw a record volume of visitors on Monday, with 1.6 million visits through 2 p.m. ET and more than 125,000 users on the site at the peak. States running their own exchanges are also reporting a surge of interest. California's exchange was also running sluggishly on Monday as it saw many visitors. Golden State residents who don't finish the process have until April 15 to pick a plan, said Covered California Executive Director Peter Lee. More than 6 million people have signed up for coverage nationwide, as of Thursday, so the final figure will likely approach the non-partisan Congressional Budget Office's initial projection of 7 million. Those that don't will have to pay a penalty of $95, or 1% of income, whichever is greater. For someone earning $50,000, that translates into a $399 fine for 2014. But many questions surround the initial year of Obamacare individual mandate. CNNMoney looks at what we know and what we don't. 1. How many people will enroll through the exchanges? The Obama administration is releasing the number of people who have picked plans, but that doesn't mean they are fully enrolled. That only happens after the first month's premium has been paid. Insurers say that payment rates have been in the 80% range, though it's been creeping up in recent weeks. Those who don't pay are dropped from coverage. Health Secretary Kathleen Sebelius told an Oklahoma TV station Monday that insurers are reporting that between 80% and 90% have paid. So if only 85% of those 6 million pay for the policies, it means enrollment is actually 5.1 million. 2. Are the young and healthy signing up? Many are watching how many young adults are signing up for coverage because they tend to be healthier than older enrollees. The thinking is that their premiums will offset the higher claims generated by older, sicker policy holders. 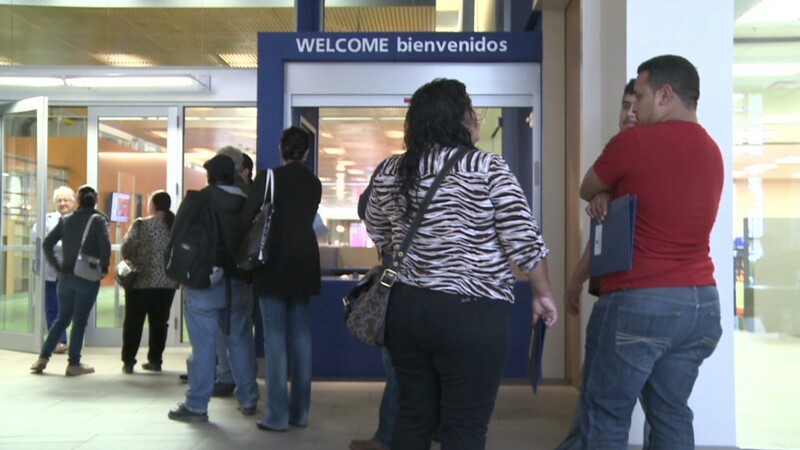 As of February, 25% of applicants were between age 18 and 34. But what's really important is how closely enrollment tracks insurers' projections. This is critical since insurers will base their 2015 premiums in large part on the number and health of the enrollees. Some may have low balled their prices in hopes of attracting applicants, while others may have misjudged the market. They will likely have to hike premiums more than insurers who priced their policies more accurately. 3. What about those buying individual policies directly from insurers? This is an important, but overlooked market. Insurers are continuing to sell policies to Americans off the Obamacare exchanges. Insurers interviewed say that those signing up off-exchange tend to be younger than those coming through the exchanges. This is important since insurers' risk pools -- and 2015 premium prices -- will be based on enrollees across both groups. 4. How many of the uninsured will gain coverage? Health reform's main goal is to reduce the ranks of the uninsured. It remains to be seen how many of America's 45 million uninsured will be covered in 2014 thanks to Obamacare. On the flip side, a new Rand survey shows that fewer than 1 million people who had individual coverage in 2013 are now uninsured, in part because their plans may have been terminated. 5. Do Obamacare policies cost more? Many of those who had bare-bones policies with high deductibles and minimal coverage are likely shelling out more for their premiums, unless they qualify for federal subsidies. Obamacare policies are far more comprehensive, providing for mental health, medications and maternity care, among other benefits. Also, since no one can be rejected, even if they have a pre-existing condition, insurers have had to price their plans assuming those with chronic conditions will apply. But others are thrilled to be able to sign up for coverage for the first time in years. Until now, many Americans with pre-existing conditions could only obtain super-pricey policies ... if they were lucky. Usually, they were deemed "uninsurable." 6. Can I keep my doctor? President Obama had promised people would get to keep their doctors, but the promise hasn't been kept. Most insurers have purposely limited the number of doctors in their plans to keep premium costs down. Many Americans are outraged that they can't keep their doctors, while others are upset that they can't find providers nearby. The administration has said it will review insurers' policies for 2015 more closely to make sure everyone has access to a doctor "without unreasonable delay." 7. What does Obamacare mean for employer-sponsored plans? The requirement that companies provide insurance to their staff has been pushed off to 2015 for employers with more than 100 workers and to 2016 for those with the equivalent of between 50 and 99 employees. Still, some employers are starting to make changes to their health insurance offerings ahead of this employer mandate, as well as some big tax levies that loom in 2018 for companies with so-called Cadillac plans. Experts say workers should prepare to foot more of their health costs in coming years. 8. Is Obamacare costing jobs? There are lots of anecdotes of companies cutting jobs or reducing hours so they avoid being subject to Obamacare. And some firms, such as Target, are telling part-timers to get coverage on the exchanges. But economists remain split over whether healthcare reform is having an impact yet. Some say Obamacare will prompt employers to slow expansion or trim staffs, while others say hiring depends demand. On the flip side, the Congressional Budget Office projected that some people will want to work less because of Obamacare. It could reduce the labor force by the equivalent of 2.5 million workers in 2024. The reason: More people will likely opt to reduce their hours, or leave the workforce entirely, so they stay under the income caps for Medicaid and federal subsidies. 9. Are many people signing up for Medicaid? Nearly 9 million people had signed up for Medicaid through state agencies and state exchanges sites between October and February. But the Medicaid data is even squishier than the exchange enrollment statistics. The 9 million figure does not include people signing up through the federal exchange, which has had problems referring Medicaid applications to state agencies. But it does include people who are simply renewing their applications, as well as people who were eligible before health care reform. Officials don't know how many people who were newly eligible due to Medicaid expansion have taken advantage of it. About half of states have agreed to expand the government health insurance program for the poor. There is no open enrollment period for Medicaid. People can sign up anytime during the year.